Save big on vent caps here at PlumbersStock. 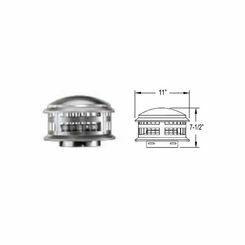 You want quality vents and terminations for your heating and cooling system. 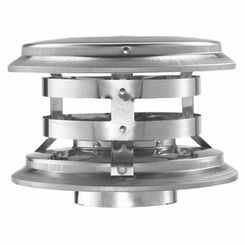 Whether you need wall vents, turtle vents, China caps, high wind caps, and more, we have it all at discount prices. 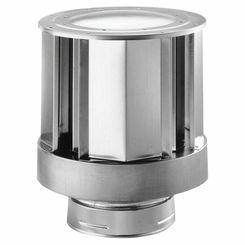 There is no better option for vent caps than quality-made M&G DuraVent. We have other great brands as well. Save on your installation and get the best parts for your home improvement project right here with the heating and cooling experts. 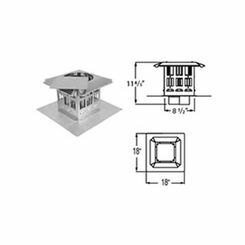 Buy wholesale vent caps and save even more with bulk shipping options. 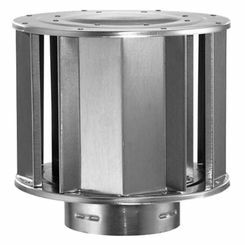 What Is a Vent Cap? Vent caps are used to cap pipes extending out through the roof. They provide protection against rain, snow, and debris and are rugged enough to face the most extreme weather conditions. 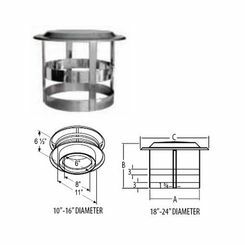 Vent caps are typically manufactured using sturdy galvanized steel and are built to withstand temperatures ranging from -100 degrees Fahrenheit to 390 degrees Fahrenheit. 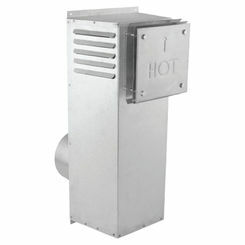 Wall Vents – Wall vents are typically used for air exhaust applications and dryer venting. 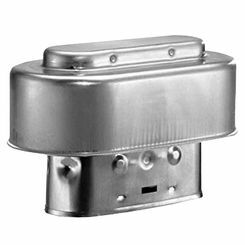 Most wall vents are hooded and construction ranges from galvanized steel to heavy-duty aluminum. 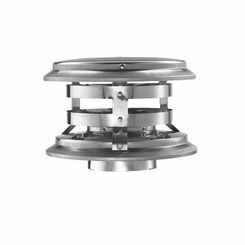 Wall vents come with built-in dampers, although some are removable back draft dampers. 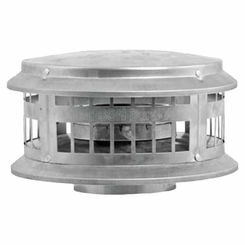 Wall vents with removable dampers may be used for air supply in addition to exhaust application and often also come equipped with an insect screen to prevent rodent infestation. China Caps – Also known as “rain caps,” China caps are used at the top of a round stack to keep rain and snow from entering the pipe. They are designed reminiscent of ancient conical Asian hats, which is where the name came from. 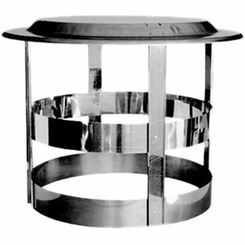 High Wind Caps – If you have a traditional, wood-burning fireplace, excessive wind can force exhaust back down the chimney if it doesn’t have a cap. 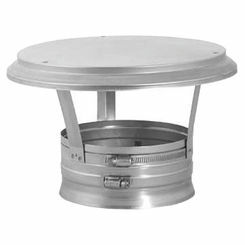 High wind caps are built to prevent downdraft and back-draft while protecting chimneys from wind and rain. 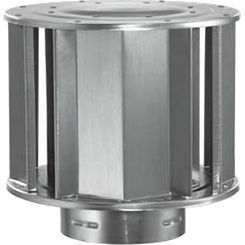 There are two basic types of wind caps, regular wind caps and wind directional chimney caps. Wind directional caps work by first separating the wind stream as it flows over the cap, then rotating to align with the direction of the wind. 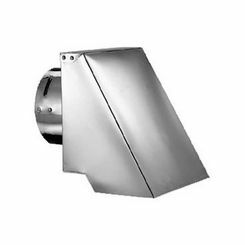 When installed, the pivoting hood is kept in the proper position (relative of the wind) by the vane. 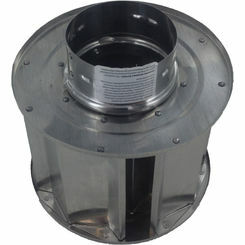 Air movement past the hood creates a partial vacuum in the flue, enhancing efficiency and helping to prevent downdraft. 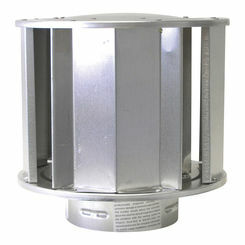 These caps are ideal not just for chimneys, but for other air exhaust applications including water heaters and pilot lights. 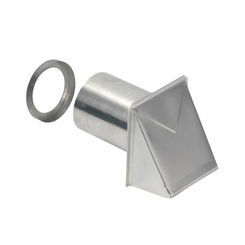 Turtle Vents - a favorite among contractors, this venting termination looks great and it offers effective performance. 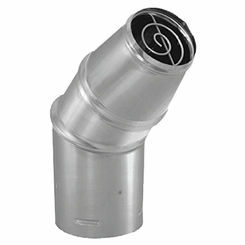 Regardless of what kind of air exhaust application you have, top it off the right way by purchasing a vent cap from PlumbersStock. We offer the trusted name M&G DuraVent, so you can have peace of mind knowing you’re purchasing top-quality vent caps at a fraction of market price. 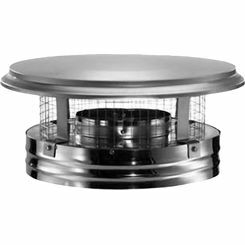 Whether you live in a high wind, coastal area and need a high wind cap or live in an extremely rainy region and require a China cap, we have everything you need to put the finishing touch on your ductwork and exhaust projects.